Whether matching a theme or adding some decor to your office this Bless You Mason Jar Tissue Holder is a great Decorative piece. It is a perfect gift. They bring a sense of Rustic design are an excellent choice for the Country Style decor and more. Add this refillable jar to any room including bathroom, dorm, bedroom, living room, office. 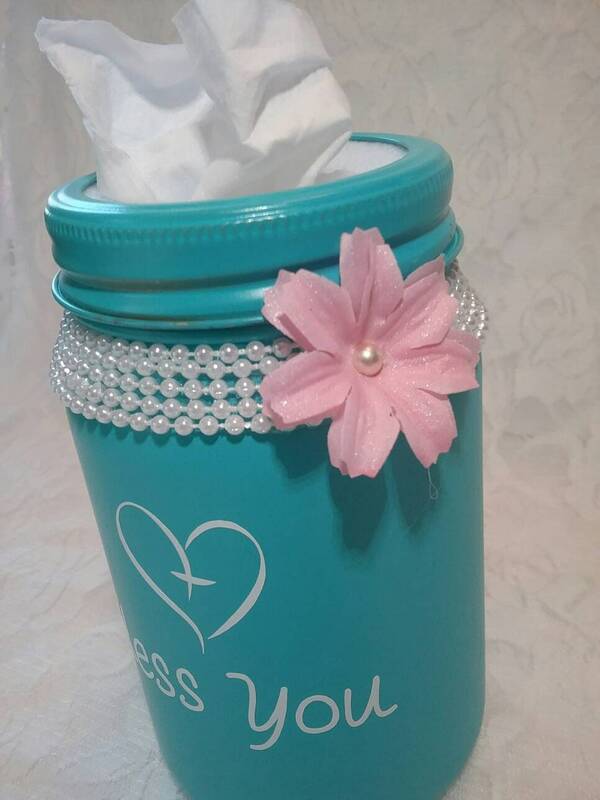 This quart size Mason Jar Tissue Holder comes filled with kleenex. Instructions for refill are provided. 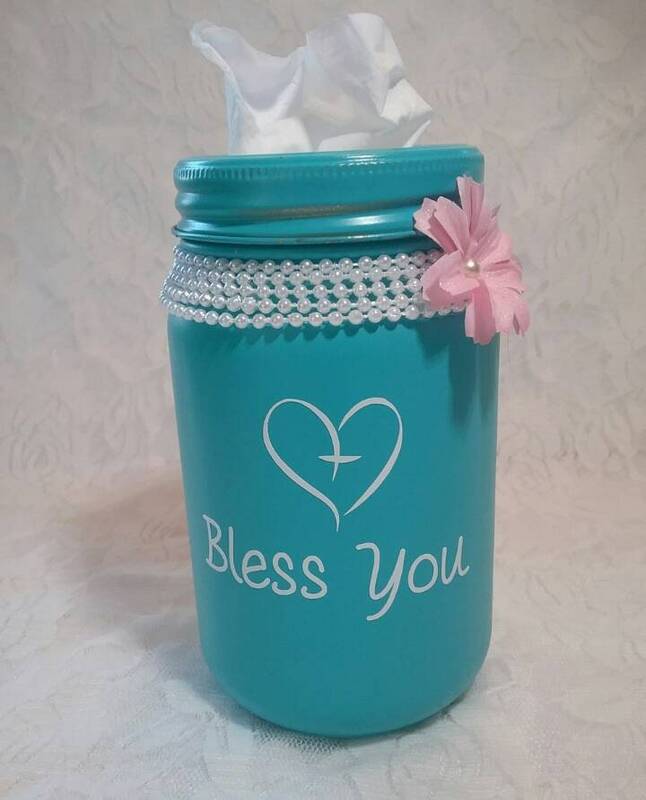 This quart size turquoise bless you mason jar tissue holder features a heart cross and bless you on the front. Wrapped in pearls with a pink pearl centered flower. 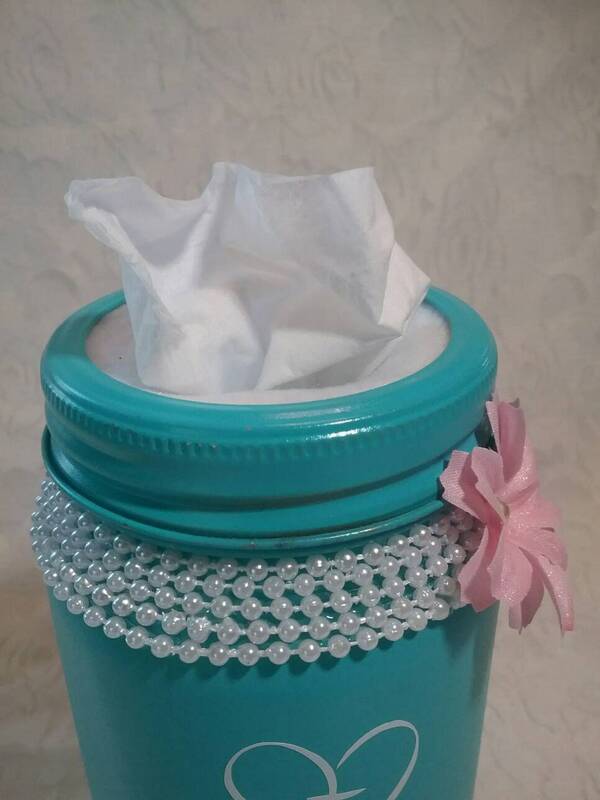 Listing includes one quart size turquoise mason jar tissue holder. **If you are looking for a custom design please click create a custom order button for your free no obligation quote. At this time we only offer shipping in the US. Your order will be shipped USPS please allow up to 7 days after shipped to receive your order. We strive to provide the highest quality products. However, due to the custom nature of this order we do not offer refunds or exchanges.